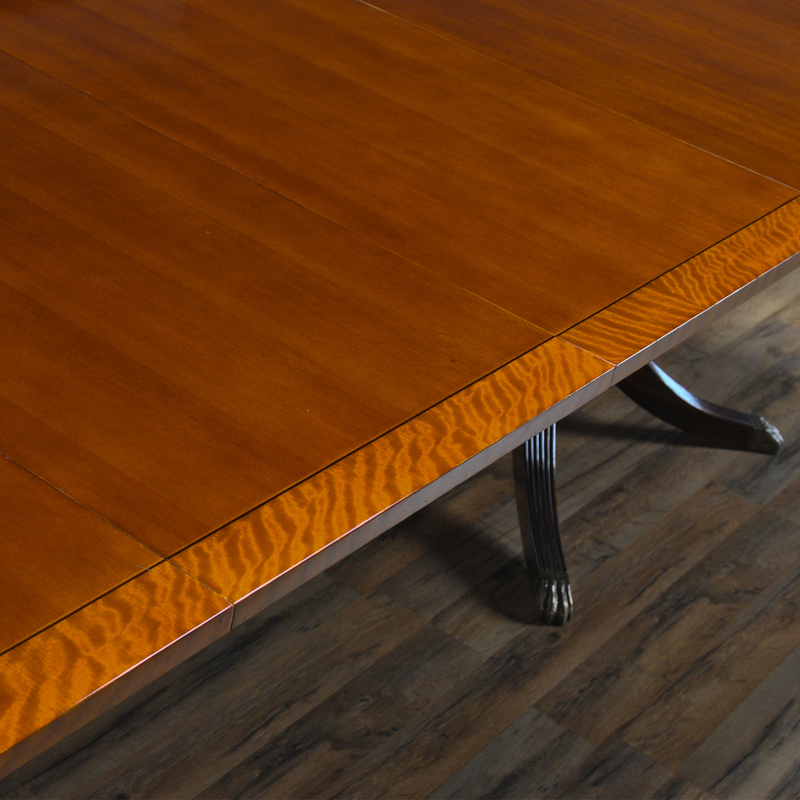 The Niagara Furniture version of a Hepplewhite Dining Table. 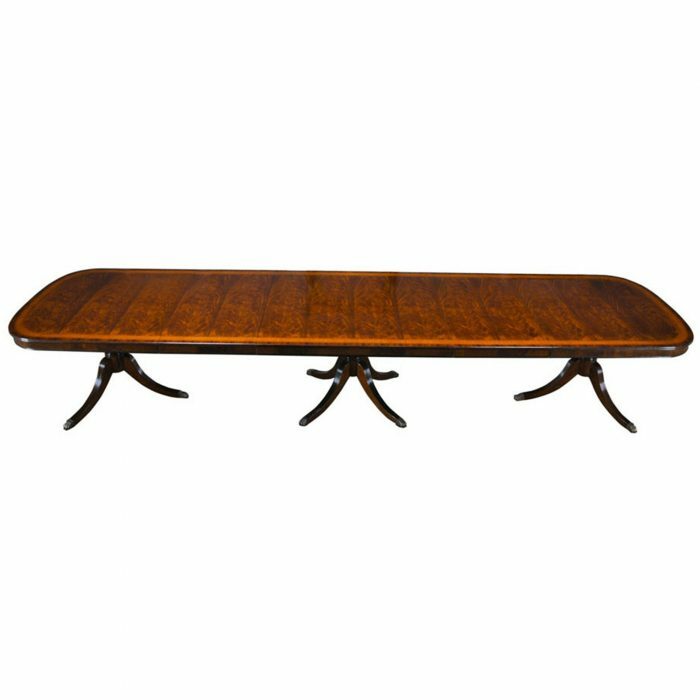 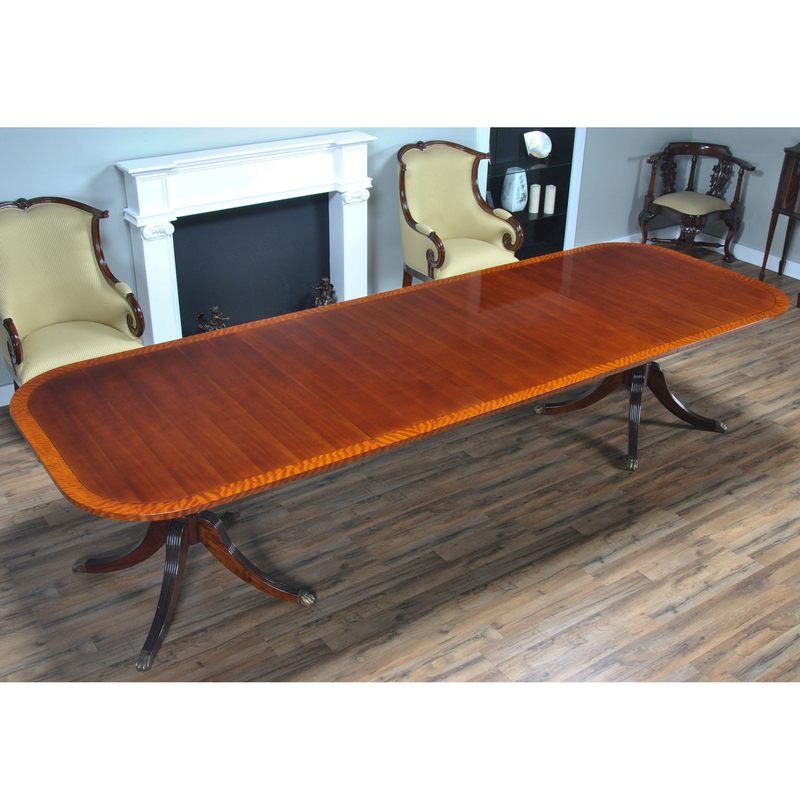 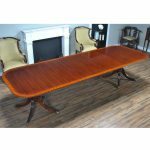 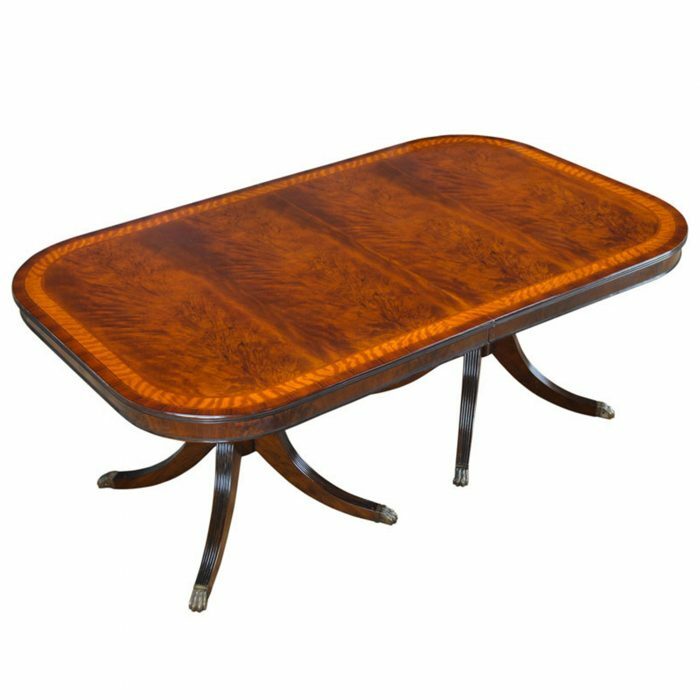 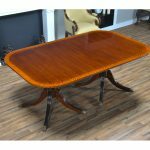 Inspired by great furniture designers such as George Hepplewhite in the 18th century this long dining table is both simple and elegant. 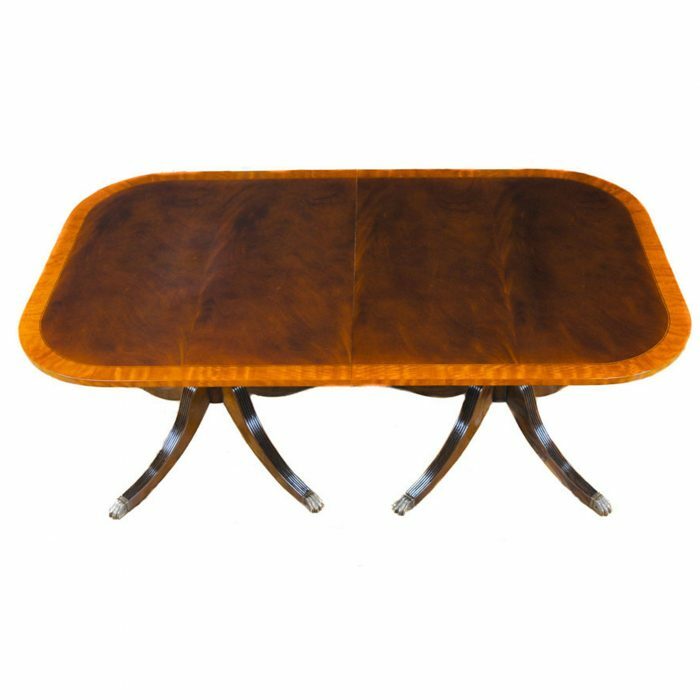 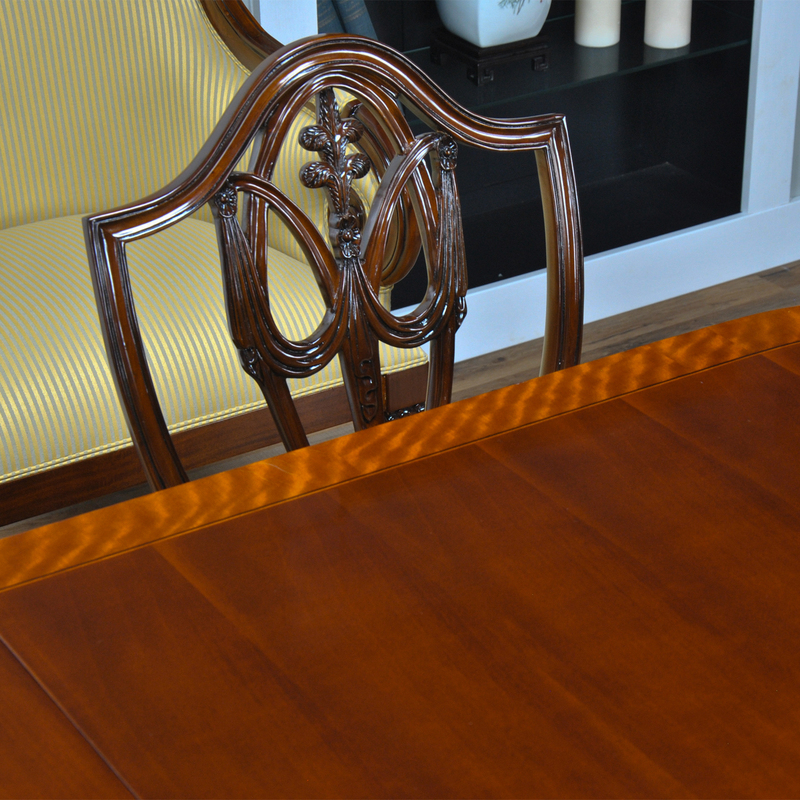 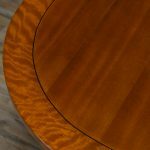 In order to give this table such a great look a straight grained mahogany veneer is hand selected for use in the field and it is then surrounded by choice satinwood for maximum contrast. 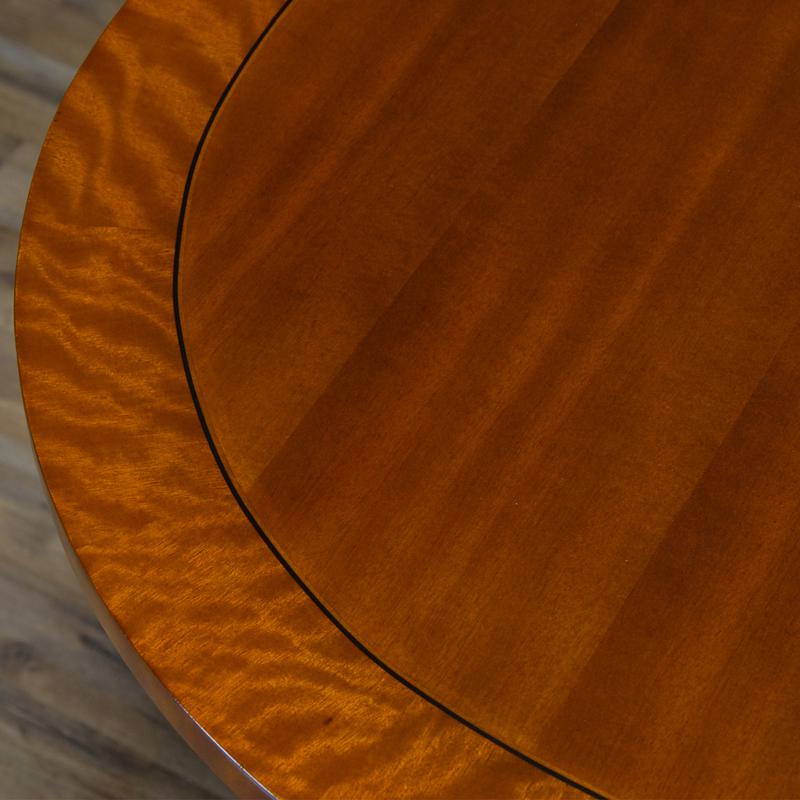 A flat edge and recessed skirt gives the Hepplewhite Dining Table a clean, crisp look. 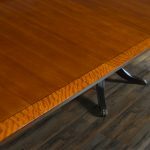 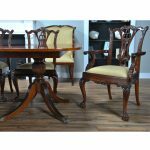 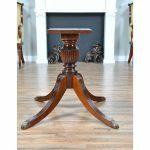 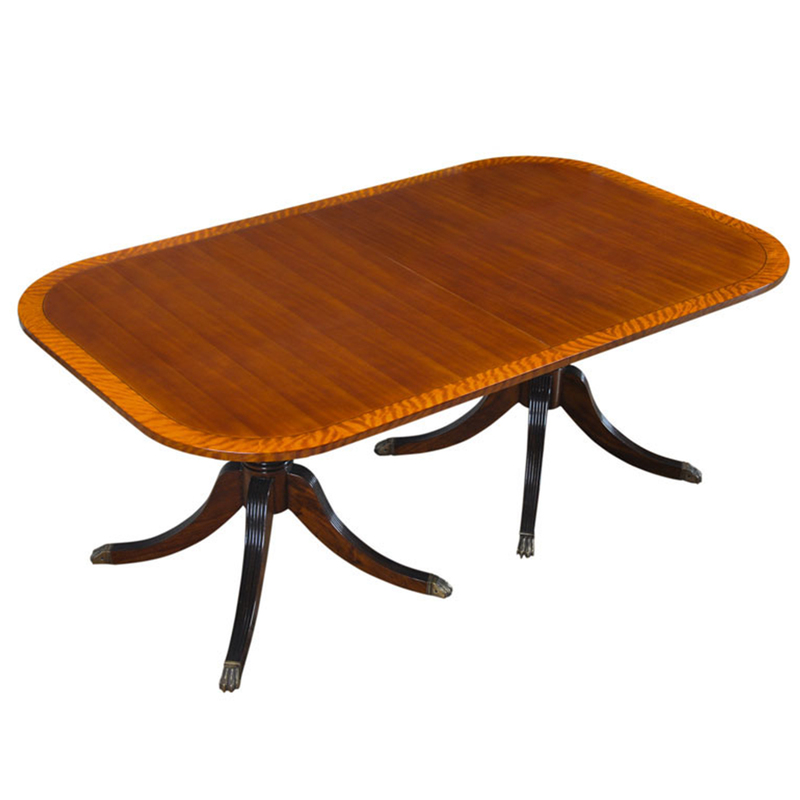 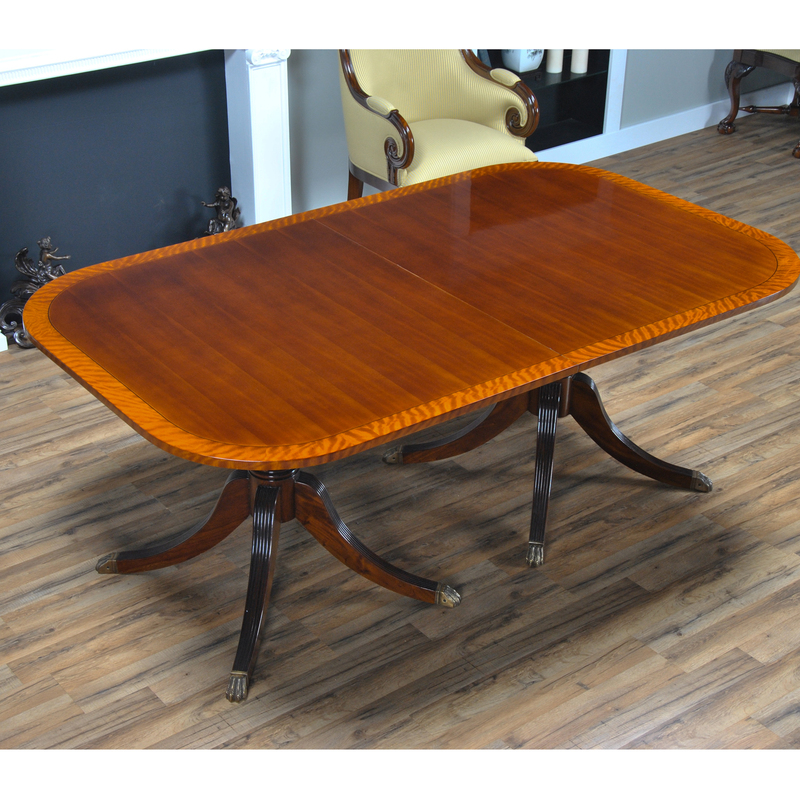 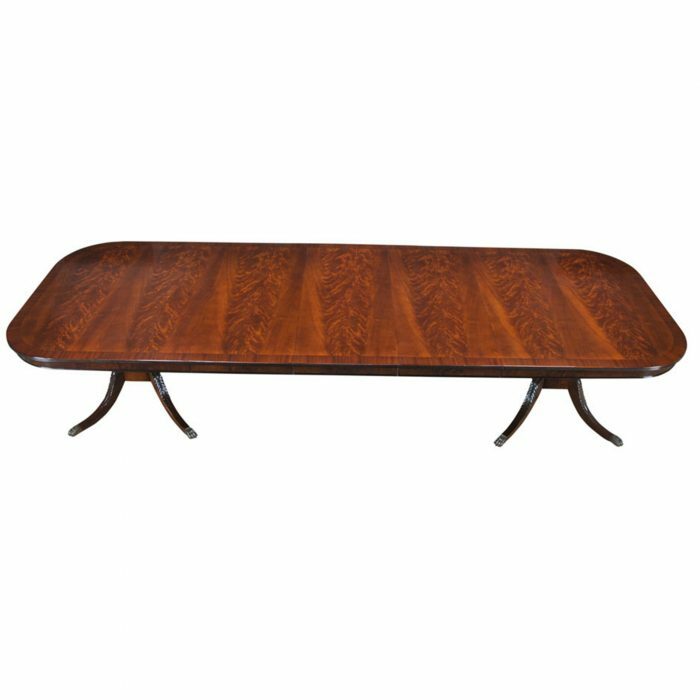 Held together by American made table rails this dining table also rests on solid mahogany reeded pedestals that are well built and made to last. 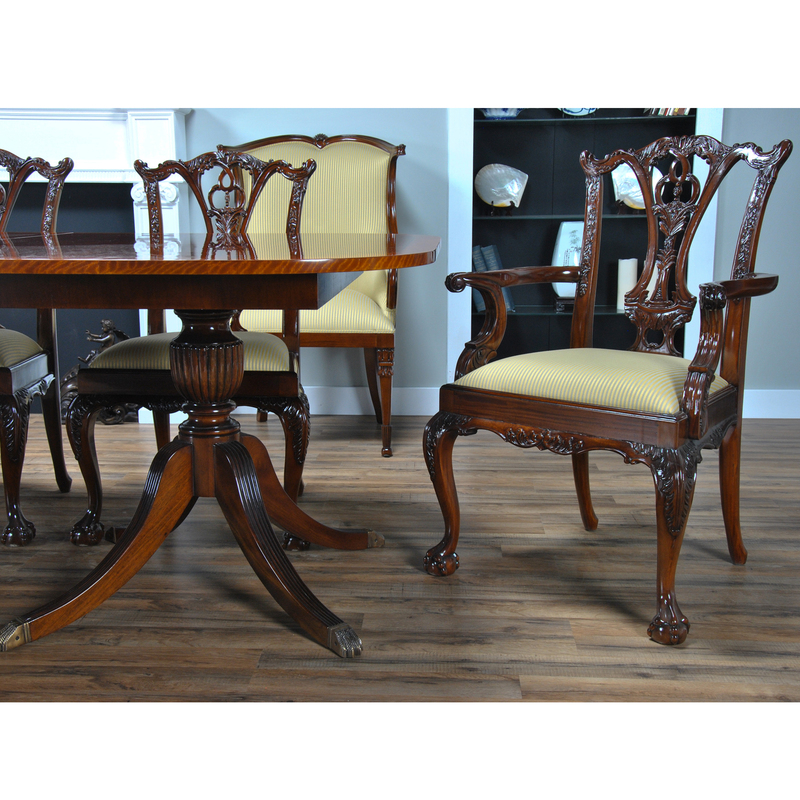 A superb quality piece all at a reasonable price point.